At EPW Small Business Law, we are big fans of the Remote-Nomadic-Hustle trend with its abundant possibilities. We are a lifestyle business designed by Elizabeth Potts Weinstein to be flexible and digital, and we embrace the remote work way of life wholeheartedly! Much of the world is speeding forward on a digital path, making running a distributed company much easier and allowing remote businesses to become more common. However, legal structures have not adapted swiftly to offer a remote, location-free business formation option. Creating a legally sound business is location dependent, in an increasingly location independent world. Are you nomadic, but you still consider one state to be your home base? Do you intend to touch back down in that state when you are not indulging in your wanderlust lifestyle? 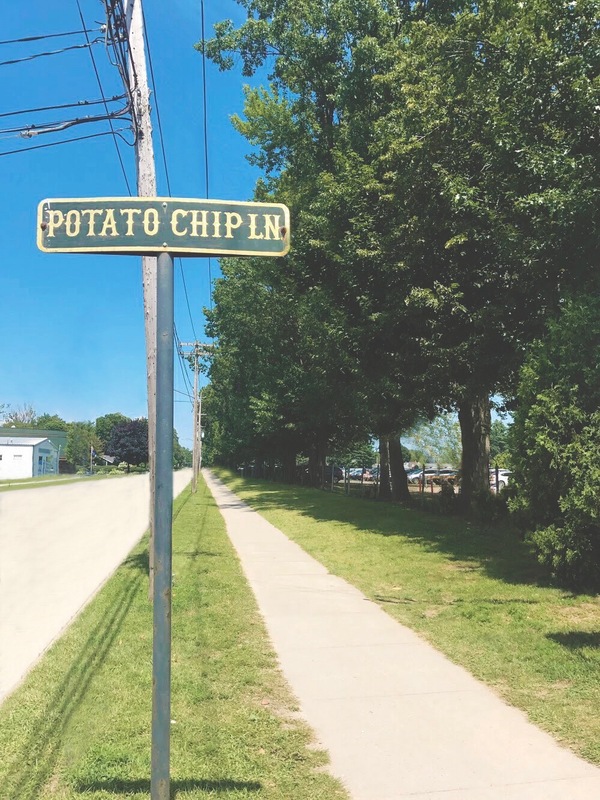 Do you own property or have a relative whose address you can use in a specific location? Then, that state might be the best place to establish your business, though there are other factors to consider too. If you don’t have one place you keep coming back to, there are other ways to decide which state is the best ‘home’ for your business. Many people are interested in forming an LLC in Nevada, for example, because it’s less expensive, has an easy-to-use state website, and there are no state taxes. Nevada can be a good choice for world travelers or people with clients/customers in the United States who live elsewhere. If you live inside the United States, it usually makes more sense to form your LLC or corporation in your own state. Learn more by watching Elizabeth’s video Should You Form Your LLC in Nevada?. One other quick state-specific note: Are you a U.S. citizen, living abroad and doing business with clients in other countries? If your business requires contracts, you may want to consider picking New York as your home base for any contract disputes, because contract law is very established there. There are many other state-specific considerations -- the samples above are just some quick insights. Beyond where you decide to establish your business legally, each of your employees needs to have a primary location for legal purposes, even if they are nomadic. You may consider hiring employees who are based in a common state for administrative simplicity. For example, if your employees are all based in Colorado, then you can get one group workman's comp policy vs. having to get one policy for your Colorado people and a separate one for an employee in Idaho. If your employees are working abroad, you may need to use a service to hire them such as Globalization Partners. It’s an exciting time to be a remote team doing business in different countries and working as a distributed company around the globe. Speaking with Amy Scott on the Nomadtopia podcast, Elizabeth discusses many aspects about remote business and more! Like many business legal questions, the solutions are often highly customized as they depend on each business’s goals and each person’s unique circumstances. Try an EPW Quick Call if you’d like to chat with Elizabeth about legal stuff for your remote business. This blog is a guest blog by Erika Yost Kumar, Business Manager & Strategist, EPW Small Business Law. 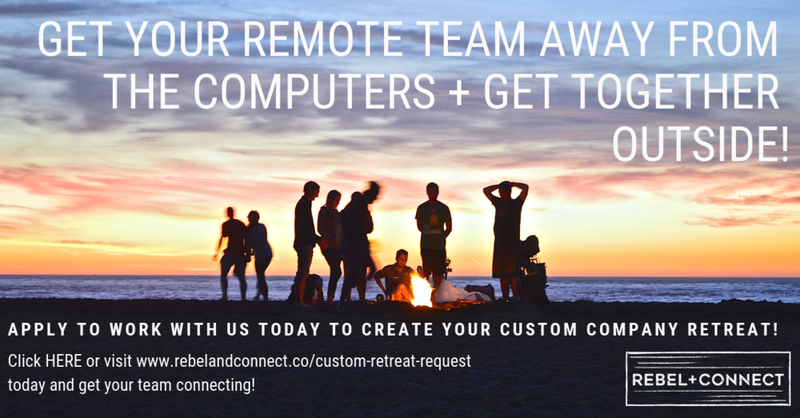 Rebel + Connect creates custom retreats for remote teams. A Colorado based company owned and operated by Rachel McGehee abd Summer Weirich, we operate remotely and service clients from all over the globe. Join us as we create cultures of meaning and celebrate human connections in a digital world!